Yola town is a local government area and the capital of Adamawa state in the North-Eastern part of Nigeria. The town is founded by Modibbo Adama in 1841, initially, Yola was regarded as the Fulanis capital. 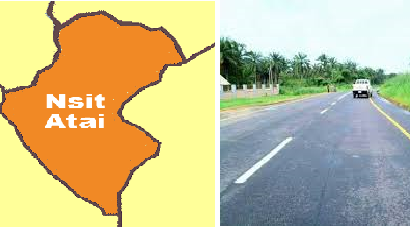 The town is split into two which are the Yola North and Yola South, various towns and villages have sprung forth in Yola; basically there are two districts in the Southern Yola which are The Yola (Rural) and Namtara district, where Bbamba, Njoomboli Fulani, Sebore, Yolde Pate, etc exist in the rural district of Yola while Changala, Goduwu, Kulangu, Ngolamba etc are found in the Namtara district. The other part of Yola has the Federal housing and The Lamido Palace, making the town of Yola to be a large city with a population that is more than 336,648 people as of 2010. Yola town is in the middle of Demsa and Garuoa, other places close to Yola town are Jimeta, Numan, Mubi, Poli, Lagdo, Rey Bouba, Tignere etc. The term Yola in The Hausa language means Firefly, the term Yola is also a word in other languages such as Spanish and German. The people of Yola are basically into farming, fishing, and rearing of cattle. Yola is also a fertile soil for the produce of rice, guinea corn, maize, millet, cotton, yam, cassava, and groundnut. The town delivers lots of cattle for the Sallah celebration every year. Other commercial activities also go on in the town such as buying and selling of this Animals, there are Traders, Civil servants, Teachers, Medical practitioners and Lawmakers, other Professionals also make the town of Yola a busy place with business activities. One thing about the traditional dishes in the northern state is that most of the foods eaten are unique in taste and are also very rich in nutrient, the spices can be compared to that of the Indian and Thai food. The food in Yola town mostly contains corn, millet, and rice as a common ingredient, which makes the food healthy to the body. Some of the foods in their language are Tuwon shinkafa, Tuwon Dawa, Miyan kuka, Pate, Burabisco, Dabinu, Furadanono etc. are all served in many dining outlets and across the world. These foods are never absent in places like hotel, canteen, restaurant, eateries etc. In Yola town, it indigene wear Danshiki, Babariga, Turban etc. while migrants or other professionals living in the town dress corporately. Yola major language is Laka, the people also speak Fulfulde, Huba, Bata and Hausa. The town also speaks other languages like Yoruba, Igbo, and English etc. from people who move to the town because of one reason or the other. Generally, the Adamawa people celebrate a lot of festivals like the Harvest festival, Kwete cultural festival, Phuki festival, hunting, wrestling competition and Njuwa fishing festival which is major in Yola town. The majority here are Muslims and few traditional worshipers, churches are not in a high side compare to mosques in the town. The town is rich in various social amenities such as good road, electricity, school, hospital, pipe-borne water. Yola is the first town to own an airport in Nigeria and Electricity, however, the town is still developing. The town is home to many prestigious people in Nigeria.